RCC Events is a full event production and rental company specializing in fashion show rentals, movie premieres, weddings, trade shows rentals, event carpet and step and repeat rentals. RCC Events is a full event production and rental company specializing in fashion show rentals, movie premieres, weddings, trade shows rentals, event carpet and step and repeat rentals. Birth of Hip Hop is an Entertainment website that will produce and host a New Web Series depicting the evolution of the Hip Hop Culture. Our core missions to discover and mobilize Video and Filmmakers world wide to capture the Hip Hop experience. Birth of Hip Hop is an Entertainment website that will produce and host a New Web Series depicting the evolution of the Hip Hop Culture. Our core missions to discover and mobilize Video and Filmmakers world wide to capture the Hip Hop experience. In this camp, your children will explore pretend play with a Cajun accent! We will work on teamwork, trust, movement, song, dance, and creative play. Through this process, we will immerse them in the language and culture of the native Cajun and Creole people though storytelling, music, and dance. This unique camp will guide children through the process of creating their own work of art and end in a performance of The Fine Fiddler of Grand-Pré for family and friends. In this camp, your children will explore pretend play with a Cajun accent! We will work on teamwork, trust, movement, song, dance, and creative play. Through this process, we will immerse them in the language and culture of the native Cajun and Creole people though storytelling, music, and dance. This unique camp will guide children through the process of creating their own work of art and end in a performance of The Fine Fiddler of Grand-Pré for family and friends. The Perfect Escape is an interactive escape room game played live with friends or family. You and a group of friends are placed in a room with 1 hour to follow the clues, complete the objective and get out. We’ve designed clever puzzles integrated into the environment to create an original, memorable, and fun experience! The Perfect Escape is an interactive escape room game played live with friends or family. You and a group of friends are placed in a room with 1 hour to follow the clues, complete the objective and get out. We’ve designed clever puzzles integrated into the environment to create an original, memorable, and fun experience! Altitude Trampoline Park in Fayetteville, AR, is the ideal place to go to if you wish to host a birthday party or a group event. Your party can be inclusive of food. Keep in mind that visits to Altitude Trampoline Park in Fayetteville vary in terms of price depending on whether you arrive at the weekend or through the week. Altitude Trampoline Park in Fayetteville, AR, is the ideal place to go to if you wish to host a birthday party or a group event. Your party can be inclusive of food. Keep in mind that visits to Altitude Trampoline Park in Fayetteville vary in terms of price depending on whether you arrive at the weekend or through the week. Our Mint Hill, NC Trampoline Park, is the perfect destination for Wildwoods, Matthews, Charlotte and Mint Hill Trampoline Park enjoyment. Our Mint Hill, NC Trampoline Park, is the perfect destination for Wildwoods, Matthews, Charlotte and Mint Hill Trampoline Park enjoyment. Anastassia Ballroom & Dance offers a unique dancing experience, blending fun fitness techniques for all ages with quality and personalized dance instruction. The studio serves Central Florida residents with group and private dance lessons, Barré fitness, prom prep, special needs instruction, wheelchair dancing, wedding choreography & monthly social dance party events. Lessons for children, teens & adults. Learn to cha cha, swing, tango, flamenco, mambo, salsa, waltz, samba, rumba & more styles! Anastassia Ballroom & Dance offers a unique dancing experience, blending fun fitness techniques for all ages with quality and personalized dance instruction. The studio serves Central Florida residents with group and private dance lessons, Barré fitness, prom prep, special needs instruction, wheelchair dancing, wedding choreography & monthly social dance party events. Lessons for children, teens & adults. Learn to cha cha, swing, tango, flamenco, mambo, salsa, waltz, samba, rumba & more styles! At Save Milwaukee you are given a mission to complete, not tasked with escaping a locked room. Our clues are intriguing, fun, and designed to require teamwork. Never grim and gory. At Save Milwaukee we never put you with strangers- no matter how many agents your group has the room all to yourselves. At Save Milwaukee you are given a mission to complete, not tasked with escaping a locked room. Our clues are intriguing, fun, and designed to require teamwork. Never grim and gory. At Save Milwaukee we never put you with strangers- no matter how many agents your group has the room all to yourselves. Do you think your team can master the challenges of our St Louis escape rooms and complete your escape within 60 minutes or less? Find out by booking your room escape with Mastermind Room Escape in St Louis today! Do you think your team can master the challenges of our St Louis escape rooms and complete your escape within 60 minutes or less? Find out by booking your room escape with Mastermind Room Escape in St Louis today! Are you planning for an outing with friends or family? If yes, then don’t plan anything else and simply purchase Drake tickets for upcoming concert in American Airlines Centre. Are you planning for an outing with friends or family? If yes, then don’t plan anything else and simply purchase Drake tickets for upcoming concert in American Airlines Centre. We are best birthday party organisers or birthday party event planner for children and kids. We provides wide range of event party planner at your budget. We are best birthday party organisers or birthday party event planner for children and kids. We provides wide range of event party planner at your budget. We have 5 different themes. For each game session, you will be locked in one of the rooms with your teammates. You need to work together as a team and try to find and solve all the puzzles and riddles within 60 minutes to escape the room. We have 5 different themes. For each game session, you will be locked in one of the rooms with your teammates. You need to work together as a team and try to find and solve all the puzzles and riddles within 60 minutes to escape the room. Live escape the room games designed by professional game designers, organizational behaviorists, psychologists, mathematicians and other leading professionals. Our games are designed to be both fun and challenging as well as to foster teamwork to the maximum degree. Live escape the room games designed by professional game designers, organizational behaviorists, psychologists, mathematicians and other leading professionals. Our games are designed to be both fun and challenging as well as to foster teamwork to the maximum degree. Prank Senders is one of the best and reputed gags gifts service providers across the world. We have a wide range of Hilarious gag gifts and pranks for to make your friends and family laugh out loud. Prank Senders is one of the best and reputed gags gifts service providers across the world. We have a wide range of Hilarious gag gifts and pranks for to make your friends and family laugh out loud. Premier Pontoons, a part of Premier Marine Group who are one of the best pontoon manufacturers. Our unmatched customer service and warranty usually exceed any savings in price. Premier Pontoons, a part of Premier Marine Group who are one of the best pontoon manufacturers. Our unmatched customer service and warranty usually exceed any savings in price. At Hotbartenders we have hot male and female bartenders in Los Angeles! Here you can hire bartenders, book a bartender, hot bartenders, party bartenders, event bartenders, party dancers, gogo dancers, party staff, bar rentals, bar packages, event rentals and more. At Hotbartenders we have hot male and female bartenders in Los Angeles! Here you can hire bartenders, book a bartender, hot bartenders, party bartenders, event bartenders, party dancers, gogo dancers, party staff, bar rentals, bar packages, event rentals and more. Fun and exciting things for all ages to enjoy in Santa Cruz, California. Top restaurants, outdoor activities, shopping, night life, events, and more. Fun and exciting things for all ages to enjoy in Santa Cruz, California. Top restaurants, outdoor activities, shopping, night life, events, and more. Finer Touch Entertainment provides the very best in DJ entertainment, live music, and event production services. For over 20 years, we have not only been moving crowds on dance floors all over the country, but more importantly, we have helped clients make memories they will remember forever. Finer Touch Entertainment provides the very best in DJ entertainment, live music, and event production services. For over 20 years, we have not only been moving crowds on dance floors all over the country, but more importantly, we have helped clients make memories they will remember forever. Summer Design Lab is a summer camp for high school students and teenagers who interested in architecture, fashion, interior, graphic design and industrial design. 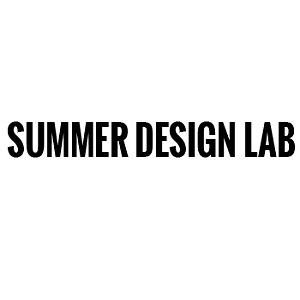 Summer Design Lab is a summer camp for high school students and teenagers who interested in architecture, fashion, interior, graphic design and industrial design.